Audrey Hepburn, with her fresh innocence, gamine ways, intense dark eyes, and boyish figure, created magic on the screen. Known as an Academy Award-winning actress and fashion icon, she also made a difference for suffering children as a UNICEF ambassador before her untimely death from abdominal cancer in 1993. 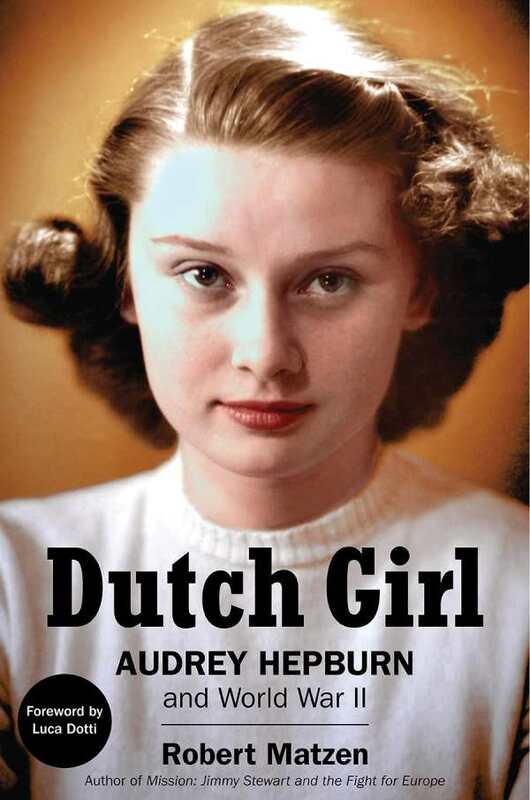 What many don’t know, and Robert Matzen’s sensitive and deeply moving book reveals, are Hepburn’s experiences growing up in the Netherlands during the years of Nazi occupation—experiences that formed her character and left her haunted by memories she could not erase. Conflicted over her parents’ Nazi sympathies, hurt by her father’s abandonment of the family, and devastated by the Nazis’ execution of her beloved uncle, young Audrey took refuge in her greatest love, dance, using her skills as a rising ballet star to raise funds for the Dutch resistance. At fifteen, she was carrying food and messages to downed Allied fighter pilots and serving as a doctor’s assistant tending the wounded during the bloody Battle of Arnhem. When food supplies were cut off during the 1944 “Hunger Winter,” she, with the rest of her community, suffered severe malnutrition. Visions of truckloads of Jews being carried off to death camps were seared into her memory, as were the screams of the wounded and the relentless sounds of gunfire, bombs, and exploding grenades that assailed her ears as her town became the epicenter of battle. Matzen’s book reveals Hepburn’s grace and courage under fire through meticulous research that includes Hepburn’s own recollections, interviews with those who had known her during the war years, diaries, Dutch archival records, and never-before-seen photographs. A master storyteller, Matzen has given us a great story—intimate, intense, and unforgettable—that carries us not only into the heart of battle but into the heart of a great human being.